Check out these pictures from The Walt Disney Studios Presentation at Cinema-con. The event was hosted by Alan Horn, Chairman, The Walt Disney Studios, and Dave Hollis, EVP, Theatrical Distribution, The Walt Disney Studios. 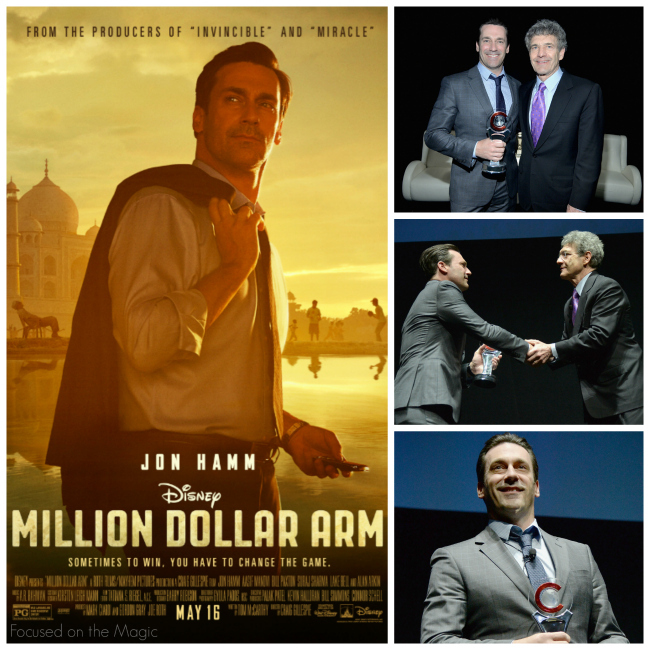 Jon Hamm, star of the upcoming "Million Dollar Arm", was on hand to receive the CinemaCon Award of Excellence in Acting and afterwards there was a special screening of the film. We saw the previews for Million Dollar Arm when we saw Frozen. I looked at DS, Peter and we both nodded in agreement that this would go on our "must see" list. For him because it's about baseball and I think it will have an uplifting message. That's a win right there. 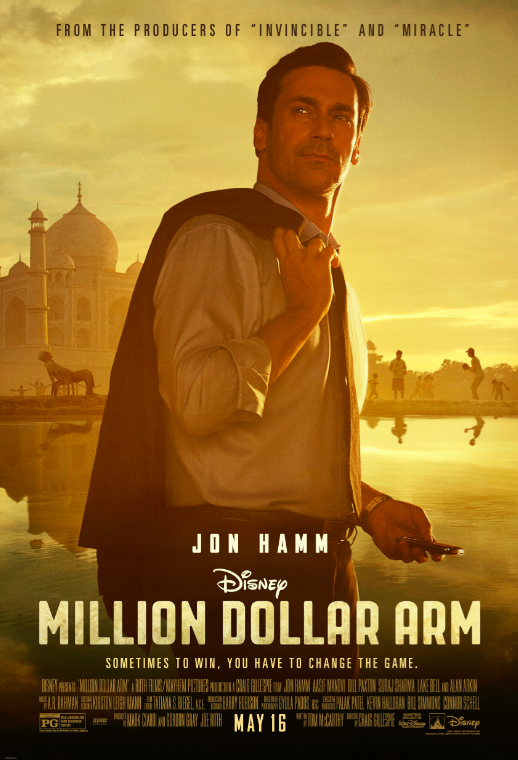 What's "Million Dollar Arm" all about?In Walt Disney Pictures’ drama “Million Dollar Arm,” the fate of JB Bernstein’s career as a sports agent rests with finding an exceptionally gifted young cricket pitcher in India, who can be trained for an American major league baseball team. Directed by Craig Gillespie from a screenplay written by Tom McCarthy, Walt Disney Pictures’ drama “Million Dollar Arm” stars Jon Hamm, Aasif Mandvi, Suraj Sharma, Lake Bell, Madhur Mittal, Pitobash and Alan Arkin. The producers are Mark Ciardi, Gordon Gray and Joe Roth. The executive producers are Palak Patel, Kevin Hollaran, Bill Simmons and Connor Schell. The film will be release in the United States on May 16, 2014. MILLION DOLLAR ARM opens in theaters on May 16, 2014! Will you be putting this on your "must see" list?